"Twitch Plays Pokemon" will be returning to the franchise which made it an Internet sensation next month with the release of Pokemon Omega Ruby and Alpha Sapphire. In preparation for its fanbase, it will kick off its relaunch by playing the Omega Ruby demo starting at 11 p.m. EST/8PM PT tonight. For the few who missed it earlier this year, "Twitch Plays Pokemon" was a very interesting and entertaining "social experiment" which captured headlines and the collective heart and mind of the entire Internet. Tens of thousands of Pokemon fans came together in the single stream, and by inputting commands in a chat room, they all controlled a single character on his way to challenge the gym leaders and become a Pokemon Master. 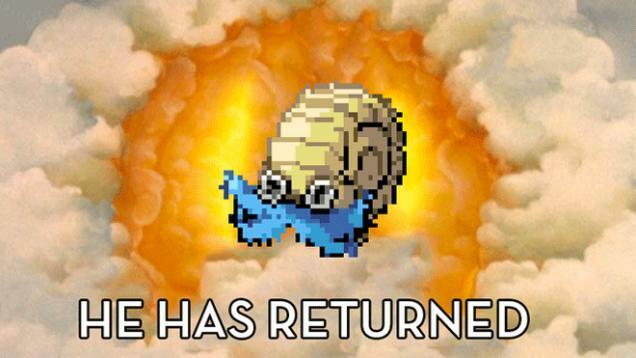 From this simple premise, the community began a religious war between Democracy and Anarchy filled with holy symbols, texts, and figures like "Bird Jesus" and "Lord Helix," and by game's end, the Pokemon trainer succeeded against all odds. "Twitch Plays Pokemon" carried this premise into future generations of Pokemon all the way into X and Y. The channel has been running ever since, playing games from other Nintendo franchises like Super Smash Bros. for the 3DS right now. It has garnered over 1 billion collective viewing minutes since launch earlier this year. The return to Pokemon is highly anticipated as we await more homegrown myths and legends far beyond what The Pokemon Company ever intended.